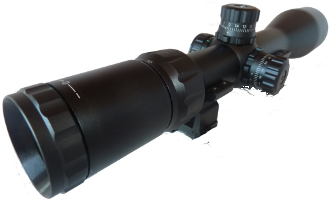 Beautiful clear optics with large 50mm objective lens to locate smaller targets plus long distance spotting. 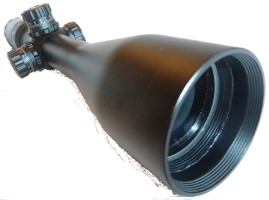 FOV at 100 yards: @3.5x = 34 ft.; @10x = 12 ft.
Illuminated reticle for low light varmit and hog hunting. 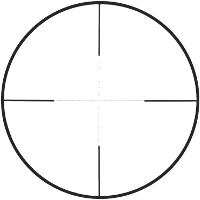 Detailed Mil-Dot reticle for quick accurate hold-offs when there isn’t time for Elevation MOA adjustment. 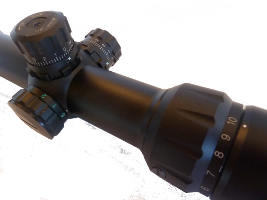 OptiCo.us SFP Ballistic Calculator calculates MOA from your firearm ballistics while at 10x zoom. 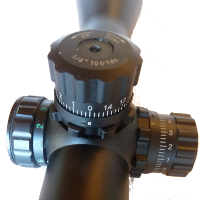 Waterproof to 1 meter for 30 minutes + Shockproof to 1200G.